The aim of this paper is to report on two preliminary findings from an empirical study in progress that examines the degree to which different structural properties of multiplayer online role play simulation games (MORPSGs) motivate and engage students in higher education. This paper focuses on the degree to which the provision to choose a role and the anonymity of players in MORPSGs motivate and engage students in higher education. While the initial results seem to indicate that anonymity of players helps to both motivate and engage students, allowing players to choose the roles they would play seems to produce the counter-intuitive result of decreasing motivation and engagement. Linser, R. & Kurtz, G. (2018). Do Anonymity and Choice of Role help to Motivate and Engage Higher Education Students in Multiplayer Online Role Play Simulation Games?. In T. Bastiaens, J. Van Braak, M. Brown, L. Cantoni, M. Castro, R. Christensen, G. Davidson-Shivers, K. DePryck, M. Ebner, M. Fominykh, C. Fulford, S. Hatzipanagos, G. Knezek, K. Kreijns, G. Marks, E. Sointu, E. Korsgaard Sorensen, J. Viteli, J. Voogt, P. Weber, E. Weippl & O. Zawacki-Richter (Eds. ), Proceedings of EdMedia: World Conference on Educational Media and Technology (pp. 1506-1513). Amsterdam, Netherlands: Association for the Advancement of Computing in Education (AACE). Retrieved April 22, 2019 from https://www.learntechlib.org/primary/p/184371/. Abdul Jabbar, A.I. & Felicia, P. (2015). Gameplay Engagement and Learning in Game-Based Learning: A Systematic Review. Review of Educational Research, pp. 1–40. Ahlfeldt, S., Mehtab, S. & Sellnowb, T. (2005). Measurement and analysis of student engagement in university classes where varying levels of PBL methods of instruction are in use, Higher Education Research& Development. Vol. 24, No. 1, pp. 5–20. Babacan, A. (2011). Teaching Law Online to Online Law Students at RMIT University. Turkish Online Journal of Distance Education-TOJDE. April, Vol. 12 No. 2. Bandura, A. (1999). Social cognitive theory: An agentic perspective. Asian Journal of Social Psychology. No. 2 pp. 21-41. Baranowski, M.K. & Weir K.A. (2015) Political Simulations: What We Know, What We Think We Know, and What We Still Need to Know. Journal of Political Science Education. Vol. 11 No. 4, pp. 391-403. Barrett, P. (2008, November). Possibilities and pitfalls of introducing educational innovation: reflection on processes and outcomes in a blended learning design for undergraduate student nurses. In E-Learn: World Conference on E-Learning inCorporate, Government, Healthcare, and Higher Education (pp. 591-601). Berson, I.R., Berson, M.J., Desai, S., Falls, D., & Fenaughty, J. (2008). An analysis of electronic media to prepare children for safe and ethical practices in digital environments. Contemporary Issues in Technology and Teacher Education, vol. 8(3), pp. 222-243. Bonk, C.J. & Dennen, V. (1999) Learner Issues With WWW-Based Systems. International Journal of Educational Telecommunication, vol. 5(4) pp. 401-407. Bonk, C., & Zhang, K. (2006). The R2D2 model of online instruction: A mapping out of the components. In Proceedings of Ed-Media: World Conference on Educational Media and Technology 2006. Pp. 2010-2015. Brown, C. (2007) Learning Through Multimedia Construction—A Complex Strategy. Journal of Educational Multimedia and Hypermedia. Vol. 16(2), pp.93-124. Ching, Yu-Hui (2014). Exploring the Impact of Role-Playing on Peer Feedback in an Online Case-Based Learning Activity. International Review of Research in Open and Distance Learning. Vol. 15 No. 3, pp. 292-311. Chou, C.C. (2001) Formative Evaluation of Synchronous CMC Systems for a Learner-Centered Online Course. Journal of Interactive Learning Research, vol.12(2/3), pp. 173-192. Dingli, S., Khalfey, S. & Leston-Bandeira, L. (2013). The Effectiveness of Incentive-driven Role-play. European political science. Vol. 12 No. 3, pp. 384-398. Palgrave Macmillan. Freeman, M., & Bamford, A. (2004). Student choice of anonymity for learner identity in online learning discussion forums. International Journal on ELearning, 3(3), 45-53. Freeman, M.A., & Capper, J.M. (1999). Exploiting the web for education: An anonymous asynchronous role simulation. Australasian Journal of Educational Technology, 15(1). Hew, K.F. (2016). Promoting engagement in online courses: What strategies can we learn from three highly rated MOOCS. British Journal of Educational Technology, vol. 47(2), pp. 320-341. Linser, R., Ip, A. & Naidu, S. (2001) Simulated worlds: rapid generation of Web-based role-play. In proceedings of AusWeb 01, the 7th Australian Worldwide Conference (pp. 21-25). Kearney, M. & Schuck, S. (2005). Students in the Director's Seat: Teaching and Learning with Student-generated Video. In P. Kommers& G. Richards (Eds. ), Proceedings of World Conference on Educational Multimedia, Hypermedia and Telecommunications 2005. Pp. 2864-2871 Chesapeake, VA: AACE. Keller, J.M. (2010). Motivational design for learning and performance: the ARCS model approach. New York, NY: Springer. Lafrenière, M.A.K., Verner-Filion, J. & Vallerand R.J. (2012). Development and Validation of the Gaming Motivation Scale (GAMS). Personality and Individual Differences. No. 3 pp. 827-831. Elsevier Ltd.
Lantis, J.S. (1998). Simulations and Experiential Learning in the International Relations Classroom. International Negotiation. Vol. 3 No. 1, pp. 39–57. Li, Q. (2006). Computer-mediated communication: A meta-analysis of male and female attitudes and behaviors. International Journal on E-Learning, 5(4), 525-570. Linser, R., Naidu, S., & Ip, A. (1999). Pedagogical foundations of Web-based simulations in political science. In Conference Proceedings: ASCILITE (Vol. 99, pp. 191-198). Loorbach N., Peters, O., Karreman J. & Steehouder, M. (2015) Validation of the Instructional Materials Motivation Survey (IMMS) in a self-directed instructional setting aimed at working with technology. British Journal of Educational Technology. Vol. 46 No. 1, pp. 204–218. Mayer, I., Warmelink, H., & Bekebrede, G. (2013). Learning in a game-based virtual environment: a comparative evaluation in higher education. European Journal of Engineering Education. Vol. 38 No. 1, pp. 85–106. McKenzie, B., Mims, N., & Bennett, E. (2003). Successful online assessment, interaction and evaluation techniques. In Society for Information Technology& Teacher Education International Conference (pp. 426-431). Newberry, R., & Collins, M.K. (2012). A recruiting and hiring role-play: An experiential simulation. Marketing Education Review, vol. 22(1), pp. 67-72. Pintrich, P.R. (2004) A Conceptual Framework for Assessing Motivation and Self-Regulated Learning in College Students. Educational Psychology Review, vol. 16(4) pp. 385-407. Rao, D. & Stupans I. (2012). Exploring the potential of role play in higher education: development of a typology and teacher guidelines. Innovations in Education& Teaching International. (Nov) Vol. 49 No. 4, pp. 427-436. Raymond, C. (2010). Do Role-Playing Simulations Generate Measurable and Meaningful Outcomes? A Simulation’s Effect on Exam Scores and Teaching Evaluations. International Studies Perspectives. No. 11, pp. 51–60. Rector-Aranda, A., Raider-Roth, M., Glaser, N., & Behrman, M. (2017). “I had to live, breathe, and write my character”: Character Selection and Student Engagement in an Online Role-Play Simulation. Journal of Jewish Education, 83(4), 280-309. Salen, L. & Zimmerman, E. (2003). Rules of Play, Game Design Fundamentals, Cambridge and London: The MIT Press. Sauvé, L., Kaufman, D. & Renaud, L. (2007). A systematic review of the impact of games and simulations on learning, in C. Montgomerie& J. Seale (Eds. ), Proceedings of World Conference on Educational Multimedia, Hypermedia and Telecommunications 2007. Pp. 4149-4157. Chesapeake, VA: AACE. Seo, K.K. & Tindall, D. (2010). Promoting Social and Cultural Sensitivity in a 3D Online Social Virtual World. In J. Sanchez& K. Zhang (Eds. ), Proceedings of World Conference on E-Learning inCorporate, Government, Healthcare, and Higher Education 2010 (pp. 1201-1205). Chesapeake, VA: AACE. Shapiro, S., & Leopold, L. (2012). A critical role for role-playing pedagogy. TESL Canada Journal, 29(2), 120. Shaw, C.M. (2010). Designing and Using Simulations and Role-Play Exercise, The International Studies Encyclopedia. Shortridge, A., McPherson, M., Loving, G., & Lee, L. (2010, June). Using Web-based Approaches to Enhance High Fidelity Clinical Skills Education. 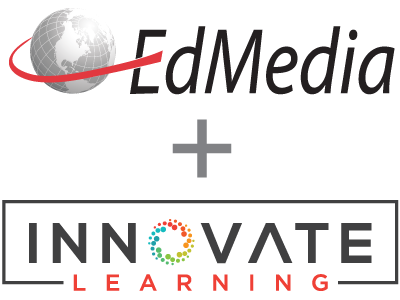 In EdMedia: World Conference on Educational Media and Technology (pp. 2921-2925). Association for the Advancement of Computing in Education (AACE). Skinner, E., Furrer, C., Marchand, G. & Kindermann, T. (2008). Engagement and disaffection in the classroom: part of a larger motivational dynamic? Journal of Educational Psychology, vol. 100, pp. 765–781. Stevens, R. (2015). Role-play and student engagement: reflections from the classroom, Teaching in Higher Education. Vol. 20 No. 5, pp. 481–492. Ward, A., Sitthiworachart, J., & Joy, M. (2004, February). Aspects of web-based peer assessment systems for teaching and learning computer programming. In IASTED International Conference on Web-based Education (pp. 292-297).